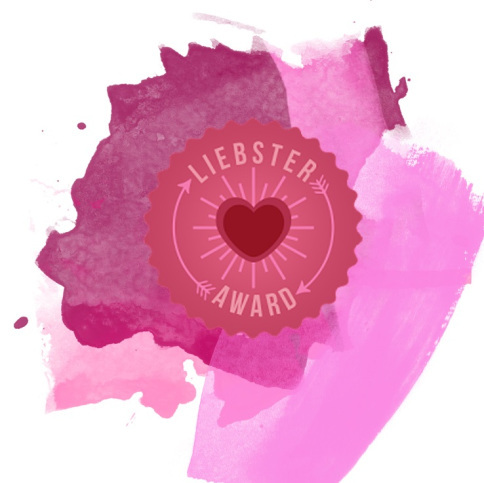 I’ve been nominated by the lovely Sandra Yeaman for the Liebster Award. Actually, she nominated all three of my blogs at once. I am deeply honored and humbled by her kind words. Sandra is a fascinating woman who, in her own words, “has been writing her story and her journey from young woman seeking adventure to a mature woman who found her mission.” Her A2Z posts are filled with the amazing places she has lived and/or visited. What book(s) are you reading now? Currently, I am reading the following books: Amber Wake: Gabriel Falling (The Tazor’s Adventures Pirate Tales) by Ronovan Hester and P.S. Bartlett, The Oracle Philon 2 by Jerry Kubicki, and The Raven – The Secret Chronicles of Lost Magic by Aderyn Wood. Who else do you think would enjoy reading [them]? I’m not sure. They are all different genres. So, I guess anyone who isn’t limited to just one genre. Which author would you like to write your life story? Probably Stephen King. Why? I think he could capture my darkness well. Name three authors you would like to invite to dinner. I would say Ray Bradbury, Lisa Jackson, and Stephen King. Why? They represent my three favorite genres – science fiction, thriller/suspense and horror. It would also make for some fascinating conversations. What was the last book you read that kept you up late into the night to finish? Wow, it has been so long since I’ve had the luxury of reading a book long into the night to finish it. I read so many books at once, that I generally schedule them each night for 2-4 chapters each night. I cannot recall the last time. Have you read a book recently you decided was a waste of time? If I think it might be a waste of time, I don’t even begin it. What’s your favorite genre? Science Fiction Why? I love the possibilities, the world-building, aliens and the technology. What genre haven’t you read much of yet? I’ve probably read just about all genres. Contemporary Romance is my least favorite. Most everyone who knows me here in the blogiverse know that although I happily accept all awards that are issued to me, I do not do nominations. My reason for this is that many of my favorite bloggers have award-free blogs and I do not wish to violate their decisions. So as usual, I will list 11 questions and anyone who wishes to answer them can consider themselves nominated. Snag the badge, display the rules, answer the questions and link back to me so I can read them. Or, if you’d prefer, just answer the questions in comments. What brings a smile to your face? Why? You’ve just settled down with a few close friends for a lovely evening. What do you talk about? What is your favorite beverage? Why? Who is your ‘dirty little secret’ (that one celebrity you don’t admit to watching, but never miss anything they are in)? What are you grateful for? Why? If money were no object, where would you live? Why? The love of your life just gave you a present. What is it? What is your birth order? Do you fit the stereotype? If your life was a book, what genre would best represent it? Why? Would you rather have a lot of acquaintances or a few close friends? Why? I’ve been nominated for the Blogger Recognition Award by the lovely Brooke @ theutopianuniverse. Thank you so much, Brooke. I am humbled and honored and graciously accept your nomination. I think I’ve told the story about how A Whispered Wind came about before, but I will tell it again for my new followers. A Whispered Wind is actually the title of an unfinished novel that I was working on eons ago. When I began it, I was in the flow of it full force. Then I had a serious bout of depression. When I recovered from that depression, I could no longer get back into the voice of my MC. It sits now on a shelf awaiting the day when I may or may not get back to it. So why did I chose to use the title of an unfinished novel? Good question. I love the way the words sound together. I used to post my poetry and short fiction on another site, but I had a falling out with some of the writers there and decided to just create a blog to put my work on. I was currently working on that novel and thought that maybe I would post it on here too. That never came about, but I have been pretty much actively blogging here on A Whispered Wind since. Make your blog easily accessible to other bloggers. You can do this by adding the following widgets to your blog: Follow Me by Email, Search, Calendar, Archives, Categories, Tags, Social Media. You can add other widgets too, but the above should be on every blog to make it easier for your followers to follow you on other media (if you want that kind of thing), find your stuff, and go back through your blog for your older material. Chose a theme for your blog, be it a personal journal, writing blog for your poetry or fiction, your hobbies, or just interesting facts that you have knowledge about. (yes, I know it said 2, but I just have to add this!) Be consistent! This goes for not only posting regularly, but answering your comments and visiting those who follow you as often as possible. The blogosphere is a community and if you want followers, you have to give as much as you take. As for nominations, I nominate EVERYONE! You are all phenomenal and I enjoy all of your blogs! So consider yourself nominated, grab the badge, follow the rules and link back to me so I can read your answers.